This week has been bustling! I celebrated turning 27, had a sweet old time with loved ones, and wrapped up with a weekend in and around Durham. The blue skies and slightly balmier temperatures of today were much appreciated, even if dispelling any semblance of a winter wonderland. I love this time of year and it feels good to be back at home for it. After its recommendation on the High Low, I've purchased A Spark of Light by Jodi Picoult to read next. Picoult apparently interviewed over 150 women who had used the abortion facility in Mississippi the novel centres on before forming her prose. Hattie's selling some beautiful Christmas gifts. I want them all. 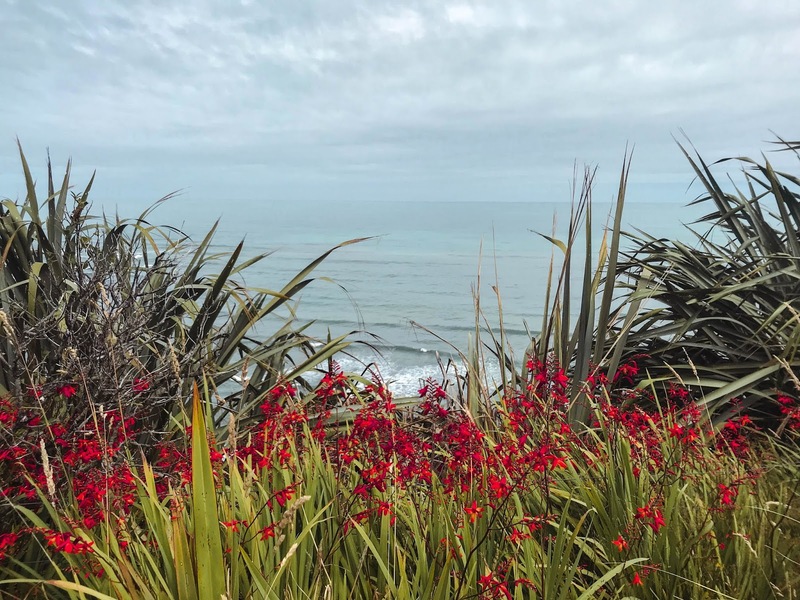 The North Island half of our New Zealand Christmas trip was incredible, but it was only the beginning. 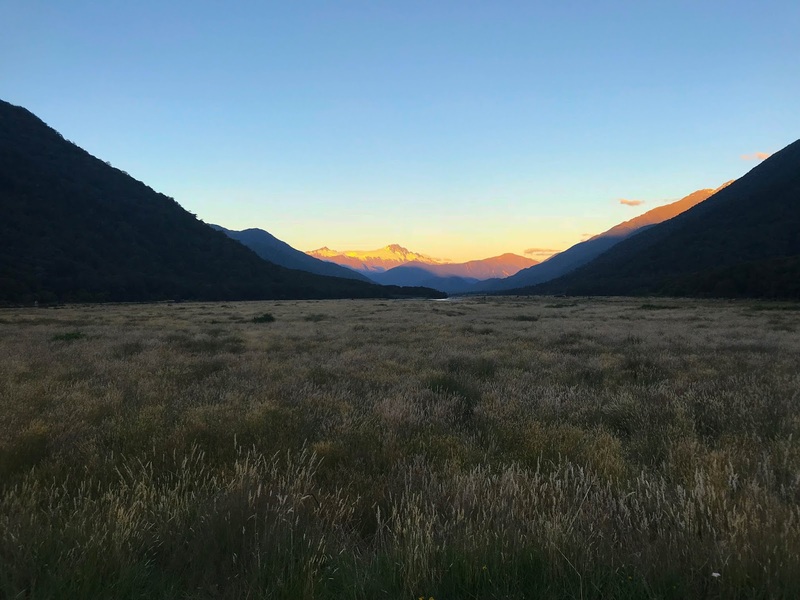 We'd given ourselves two weeks to see the entirety of the South Island by campervan, and boy was it to be a challenge. 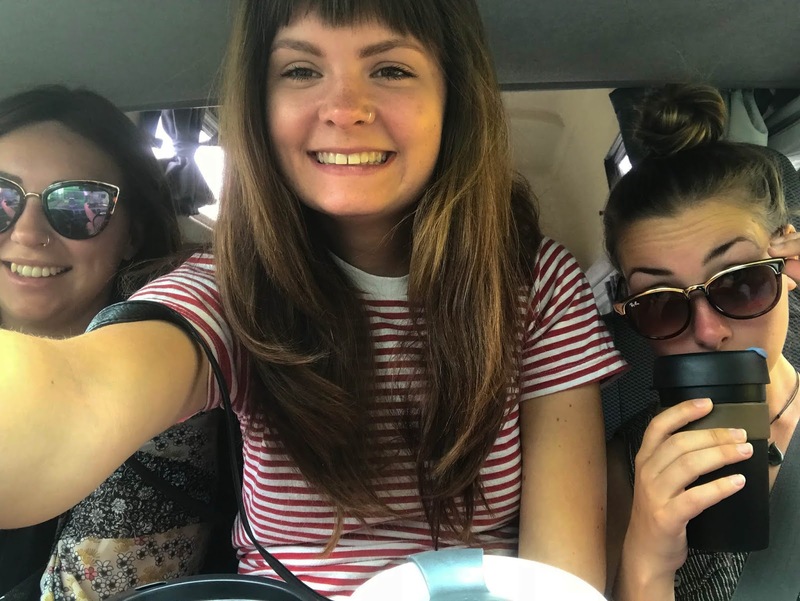 Three girls on the road with so much to see and do. So where did we start? We arrived in the South Island after a flight from Auckland on New Year's Eve. 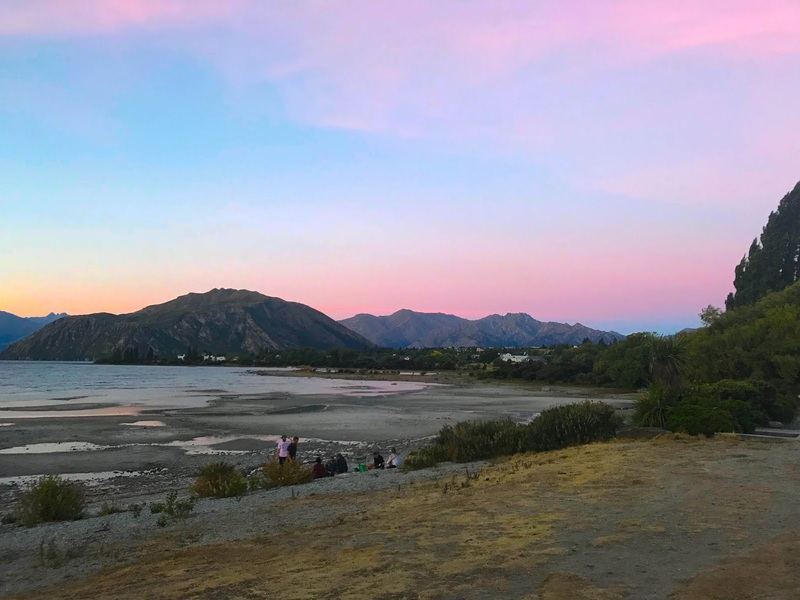 We were bound for Wanaka to go to Rhythm and Alps festival, a five-hour drive away. 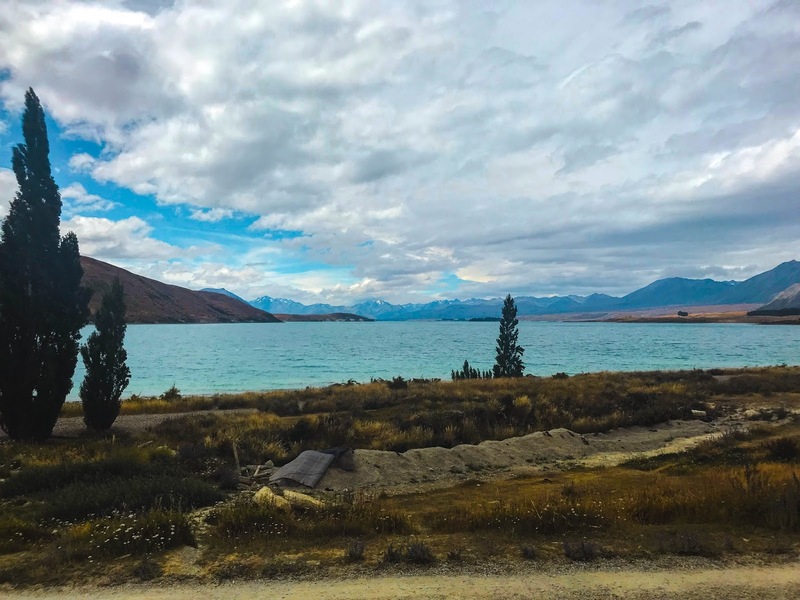 After picking up our Happier 3 Kuga van from the Happy Campers site by the airport, it wasn’t long before we were hot-tailing it west through the stunning Mount Cook National Park, stopping only to pick up food, booze, and to gawk at Lake Tekapo. 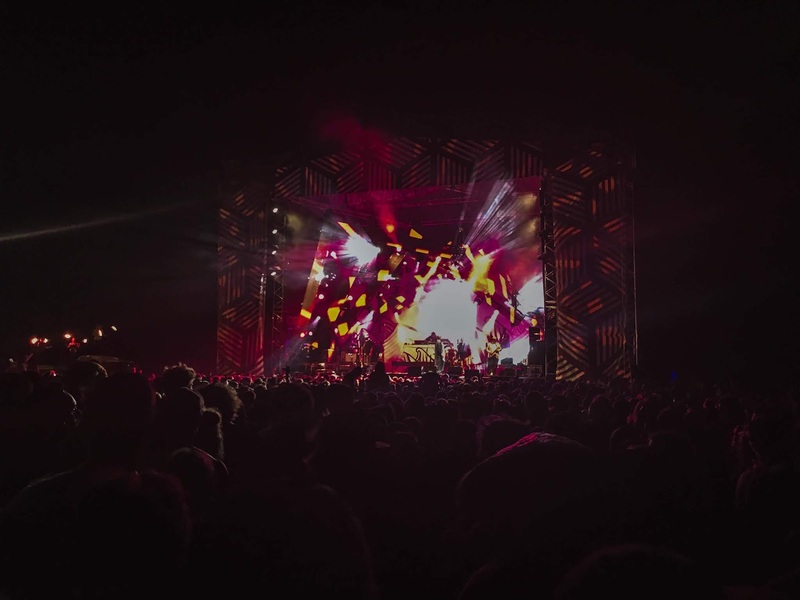 With a twist of good luck, we rang in the New Year to the sound of Fat Freddy's Drop. Fireworks popped overhead as we danced wildly. It didn't feel like New Year's but perhaps that was the magic of it. Being able to park the van in the festival's car park meant we could retire when our feet were tired and sleep soundly, and happily not in a tent. 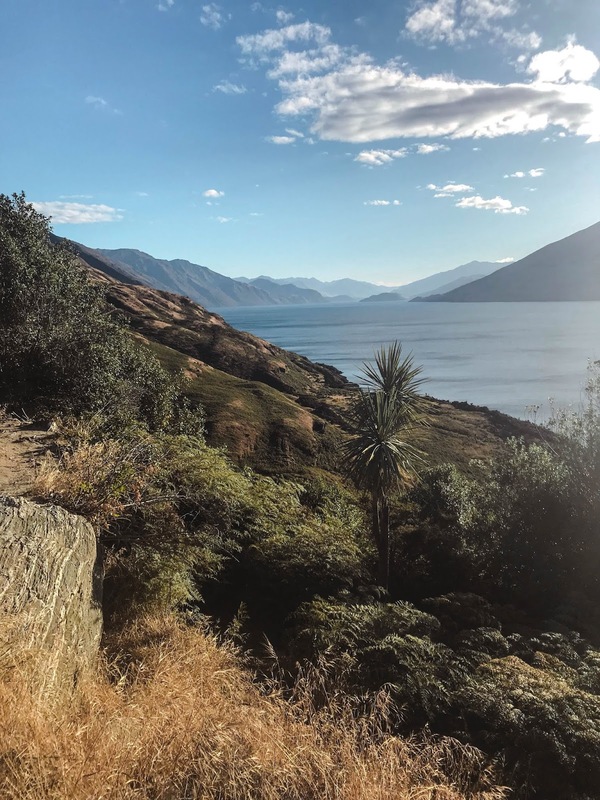 On New Year's Day, with sore heads, we drove back to Wanaka and parked ourselves next to Lake Wanaka in front of the mountains. 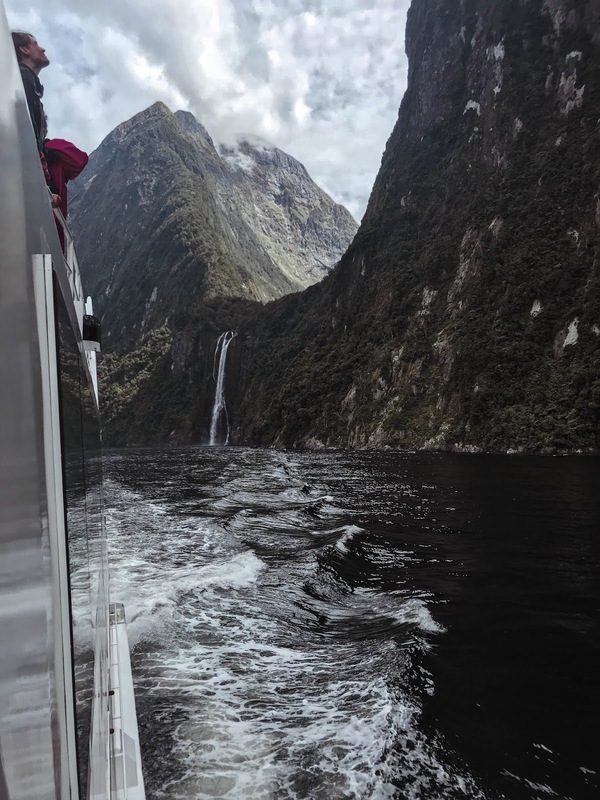 The view was so transcendent in its beauty that it seemed almost like a painting; this would be something we would become accustomed to throughout our trip. 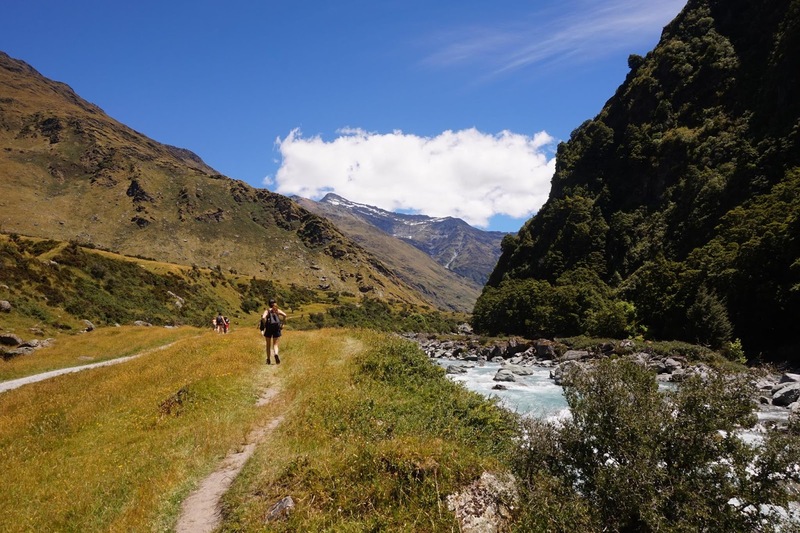 Nowhere was this most apparent than during our five-hour tramp to the Rob Roy Glacier, with its bright blue rivers, green hills emboldened by the amber sunlight, and glowing frozen banks. 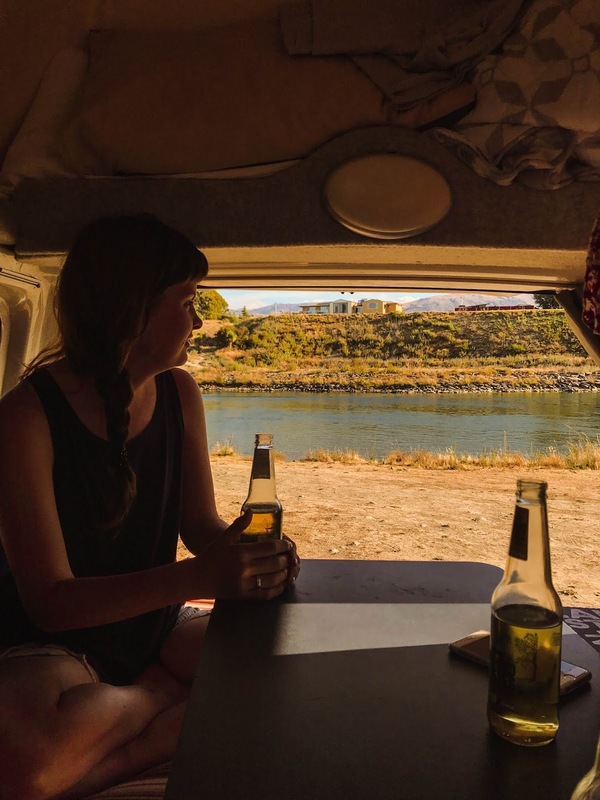 Our nights in Wanaka were spent at the Alberttown campsite, overlooking a river that every day multiple people would plunge into from the bridge overhead. The weather was stiflingly hot. We would sit by the lakes and the rivers drinking with friends, watching the clouds roll through the lilac skies, enjoying the peace of it all. 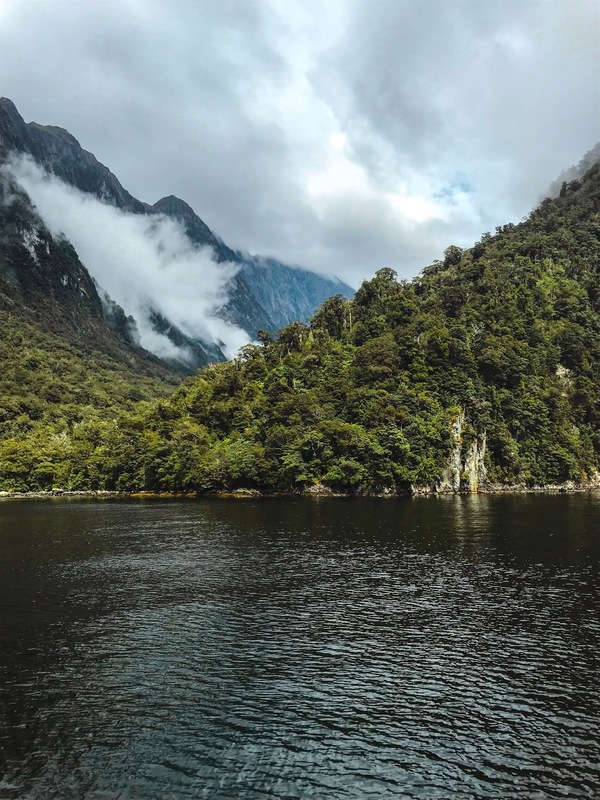 Te Anau was our next destination – South of Wanaka and the home of the closest campsites you can stay in to Milford Sound, one of the wonders of the world. We were lucky to explore it on a bright sunny day aboard the boat that took us from one side to the other. Driving through the Homer tunnel was one of my favourite parts and the subsequent slopes you encountered after passing through the mountain. 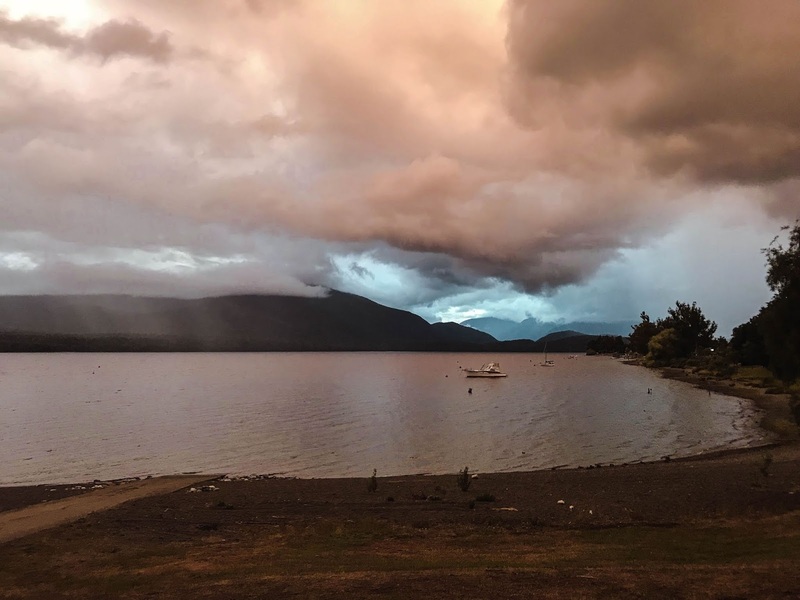 Back in Te Anau, when it rained it poured. Popping out to use the facilities of our campsite meant getting drenched. Thus, we were relegated to the van. But that was fine by us – there we cooked, read, and drank wine out of camping mugs, in amongst the heavens. 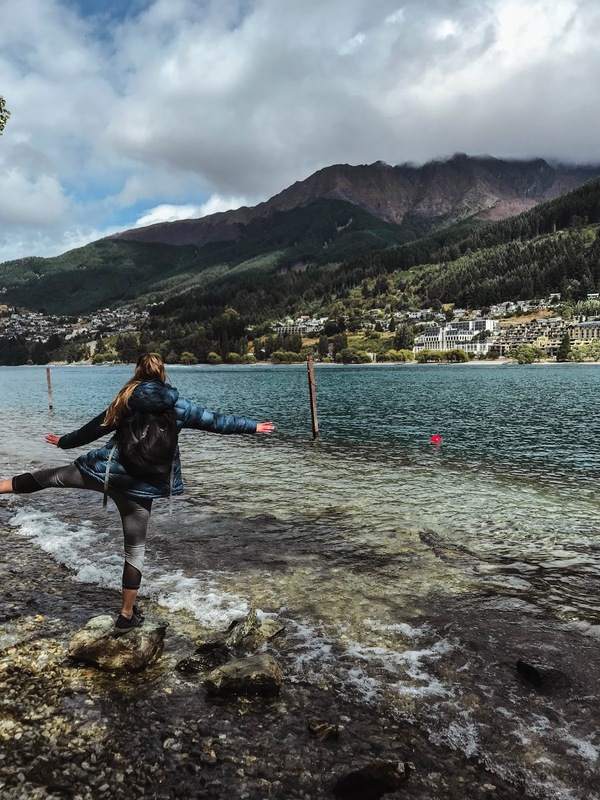 Queenstown was a blitz of energy to the relaxed nature of our previous destinations. It's a small town, but a lively one, renowned for its bars, ski scene, and for being a punch of adrenaline. Before we got there I'd pictured the punters in the gutters of U.K. party capitals, so I was surprised by how spectacularly beautiful it was. I don't know why; I knew the mountains would move me. Fergburger was a high priority in our two days there and mightily lived up to the hype. We enjoyed going to the Saturday market and walking around, soaking in the immense scenery. Another thing... Ever wondered what paradise on earth tastes like? It would have to be a little along the lines of hot chocolates from Mrs Ferg’s. 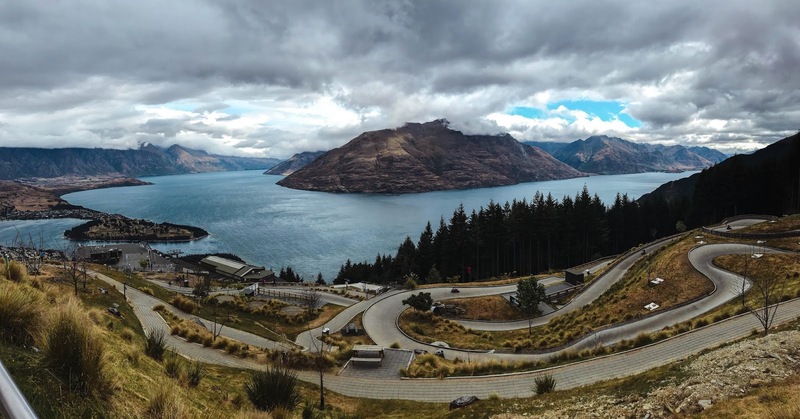 Park up at Queenstown Lakeview Holiday Park if you don’t want a long stumble home. Go luging - what a view! 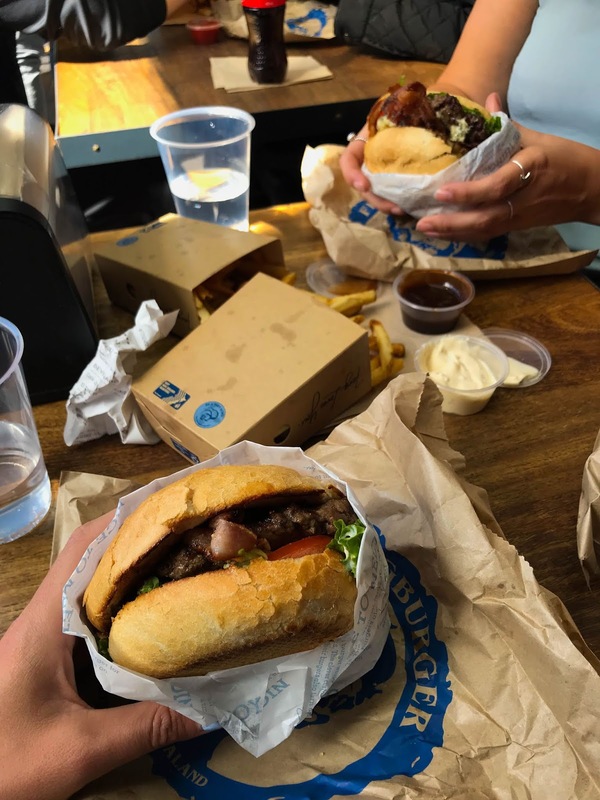 Drink hot chocolate from Mrs Ferg's and eat burgers from Fergburger. This was my favourite place that we parked the van. Waking up to mountains in the morning was unbelievable and epitomised why we were doing what we were doing. 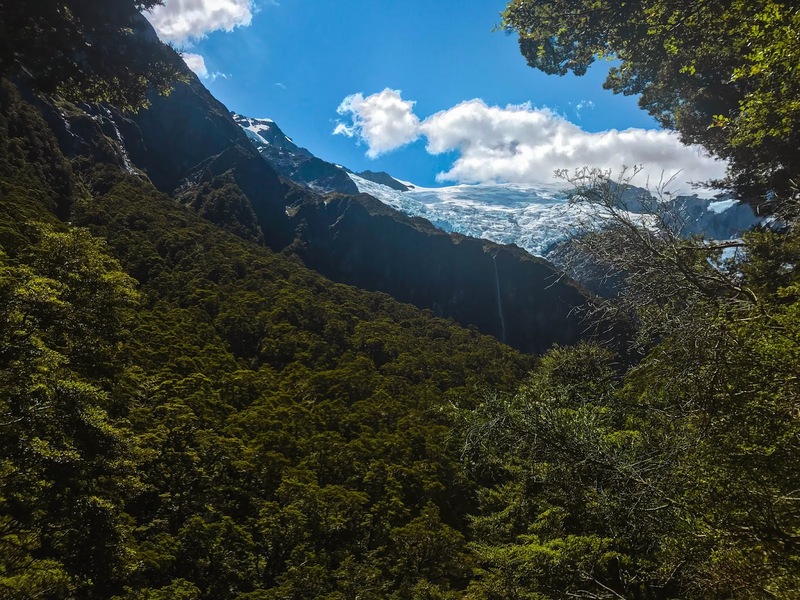 The drive up the West Coast of New Zealand was beautifully lush, green, and filled with sweet pitstops like Haast Pass and more. 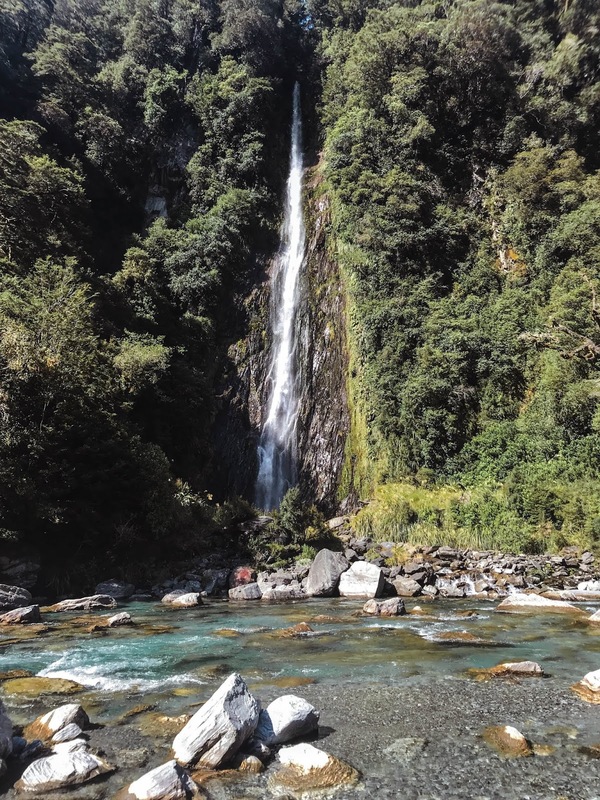 The morning after the night before, we trailed from Mount Aspiring National Park to the magical Thunder Creek Falls. From there we made our way up the South Island’s West Coast stopping eventually at Greymouth Beach, where we parked up for the night and to watch the amazing sunset. This next leg might have been my favourite. 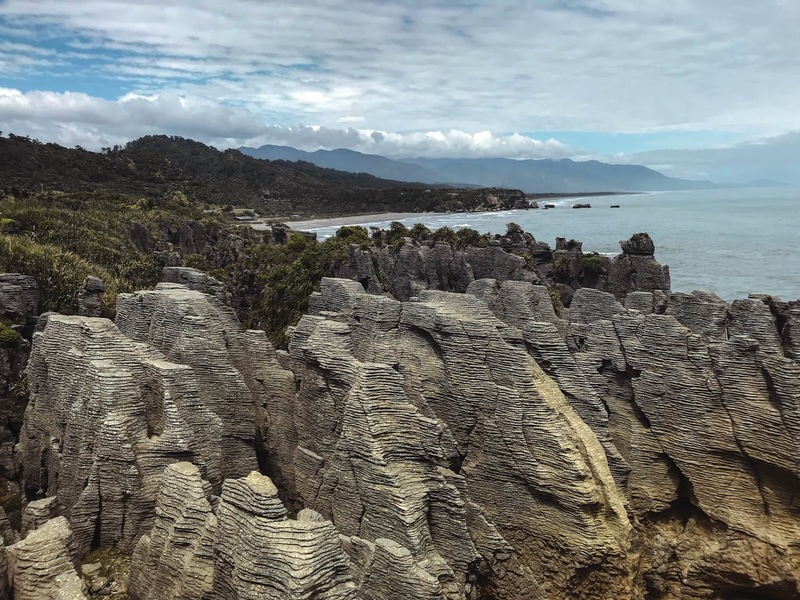 Past Pancake Rocks we went, up and over to Nelson ­– renowned for ‘apparently’ having the most sunshine days in New Zealand. The streets there looked almost European. We parked in the centre of the town and went for coffee nearby. From Nelson, it was up to the far end of the Abel Tasman: Golden Bay. 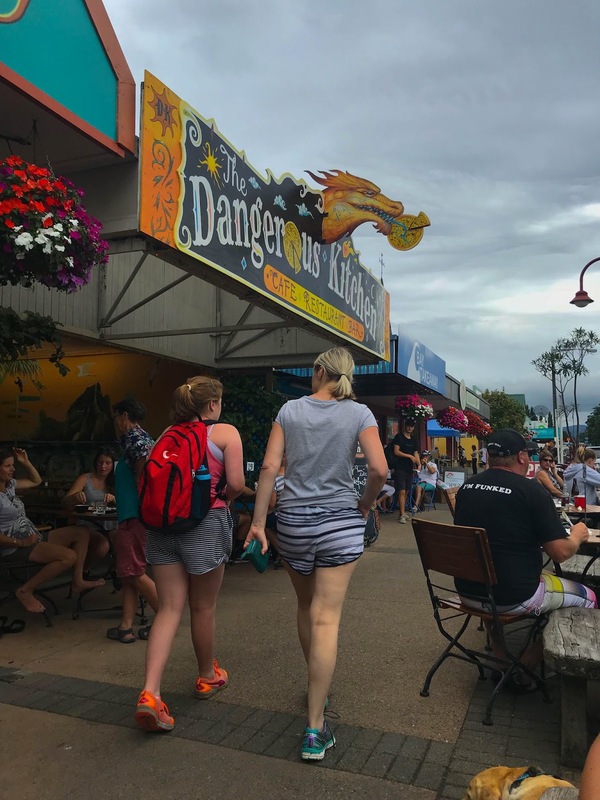 The town of Takaka can only be described as a hippie haven from a bygone era, with vibrant flowers and eccentric artwork adoring every part of its buzzing high street. I was taken by this place, enamoured by its op shops and free spirited nature. 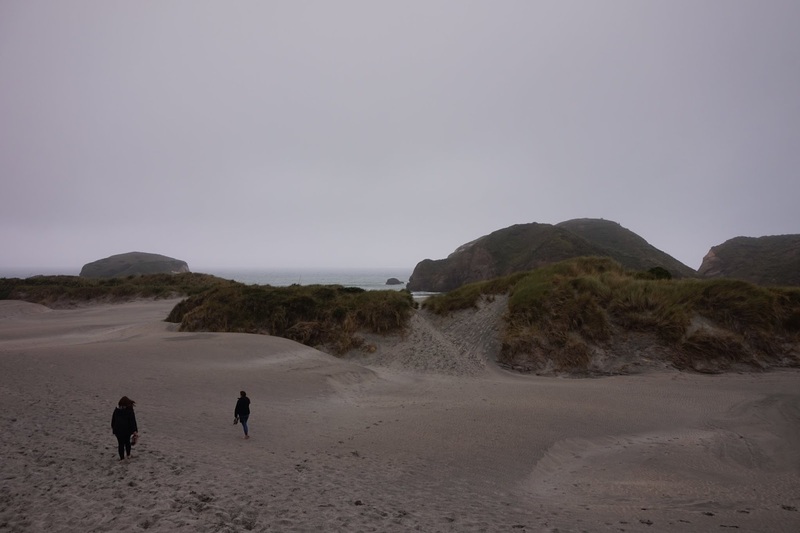 The next day we drove to Wharariki Beach, somewhere that had been vehemently recommended to us. It was a sketchy journey on unpaved roads and down dirt tracks, all while rain bounded off the sides of the van. We wondered if we’d been a little had… This can’t possibly… But it was… It was incredibly worth it. Through the woods we went, and out onto the misty expanse of Wharariki’s caves and rock formations jutting from the sea. I remember throwing my shoes over my shoulder and running down the sand, leaping from the dunes into more golden dust. 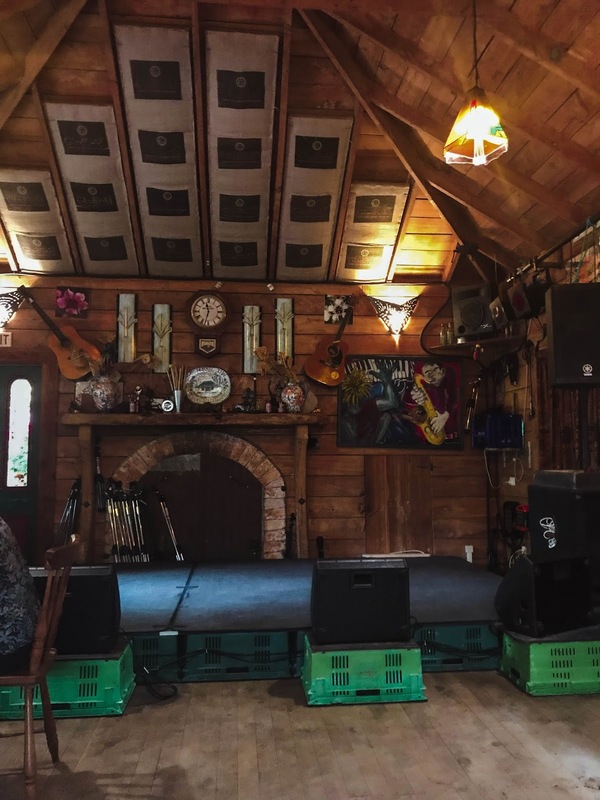 We warmed ourselves that night at the famous Mussel Inn – an absolute institution, renowned for its seafood (funny that) and live music. It didn’t disappoint. 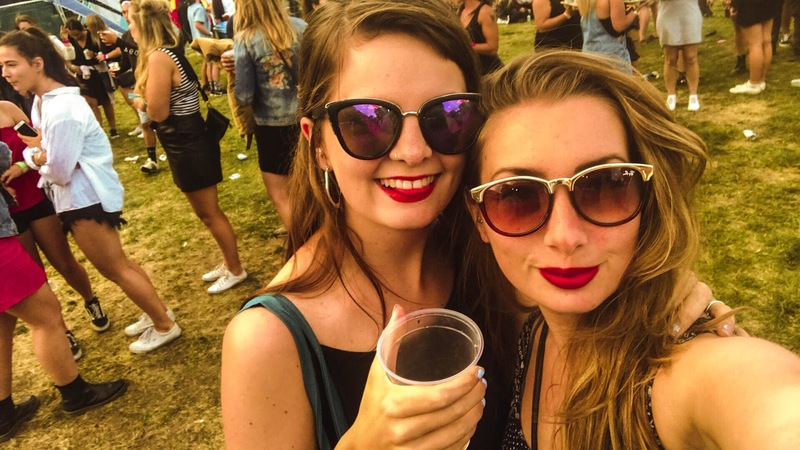 We ate mussels, chips, and nursed red wine, before retiring to a nearby free car park that doubled up as a night spot for hundreds of cars, vans and revellers. 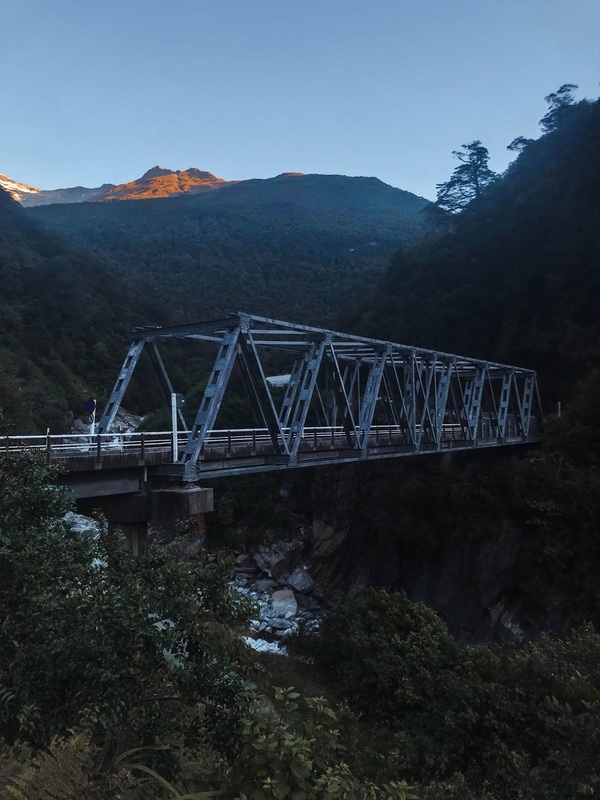 Takaka Hill, known as ‘Marble Mountain’ took us back down towards the Abel Tasman. 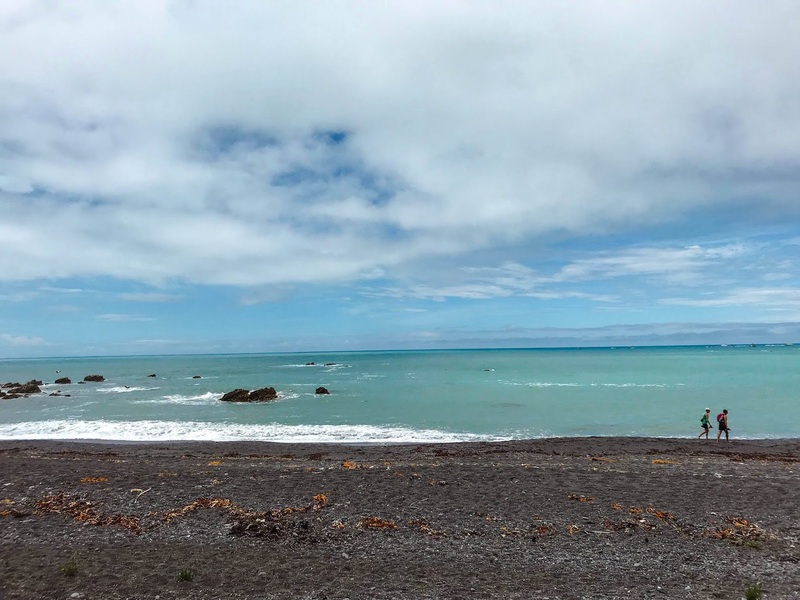 We headed over to Marahau Beach, passing vineyards and luscious green fields, towards Old Macdonald’s Farm Holiday Park. 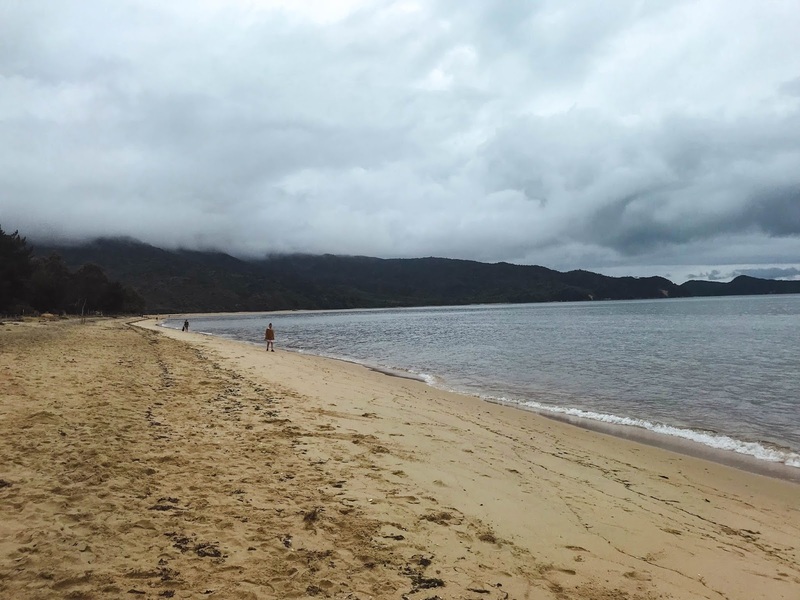 Marahau is the entrance to the world famous Abel Tasman National Park coastal track, but because of our lack of time we stayed in its proximity. 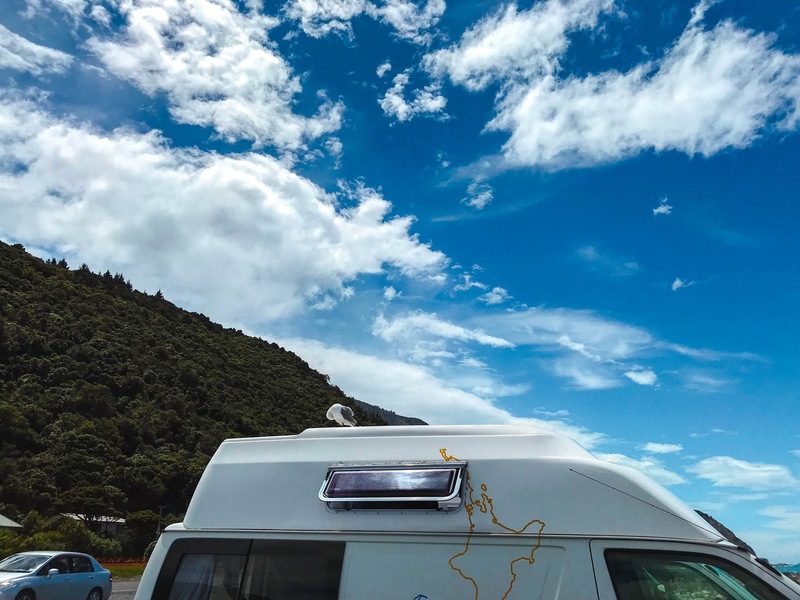 We’d been hoping for sunshine and days out of the van relaxing – anything but more driving. The gods it seemed were not with us, but luckily that didn’t dampen our spirits. On choppy seas, we attempted paddleboarding in the bay and fell off repeatedly. Afterwards, we sipped hot chocolates on the beachfront, went cockle picking and for dusk-time swims. 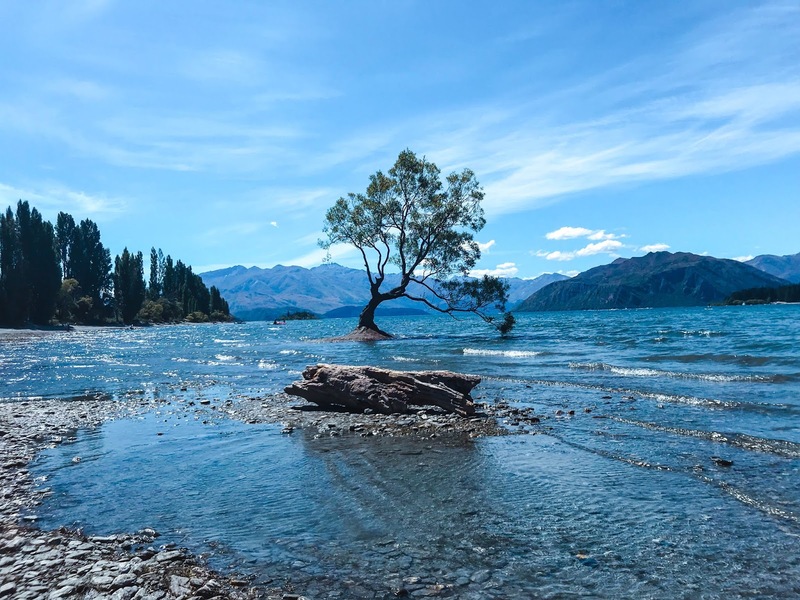 Our time in Blenheim was brief. A friend of mine from Brighton was working in a pub there, so we stopped for the night to reminisce and hear about her grape picking adventures. 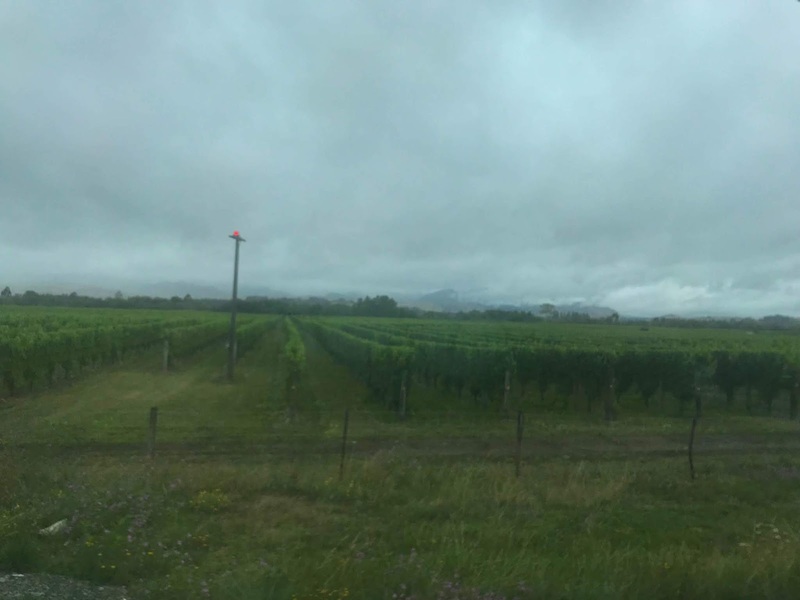 The morning was rainy; the town grey; the vineyards stretching into the horizon. 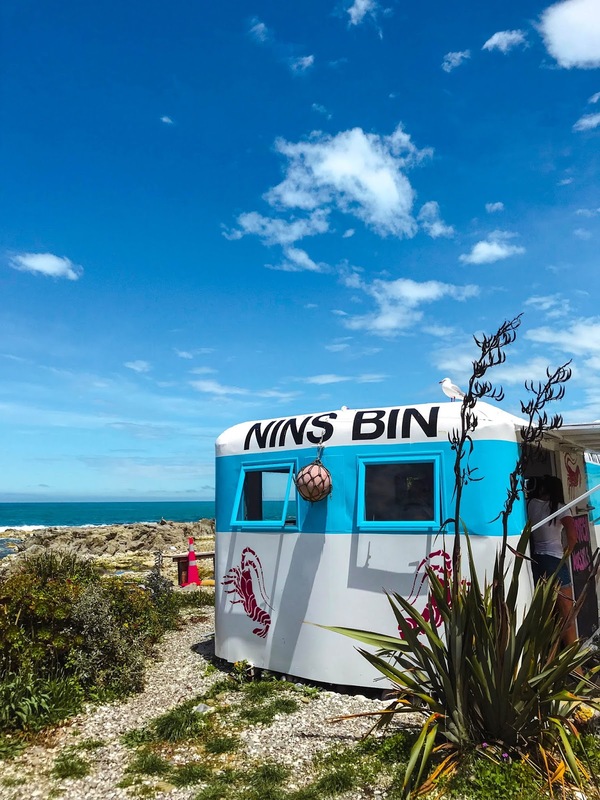 After the 2016 earthquake, Kaikoura is still a tricky place to get to. 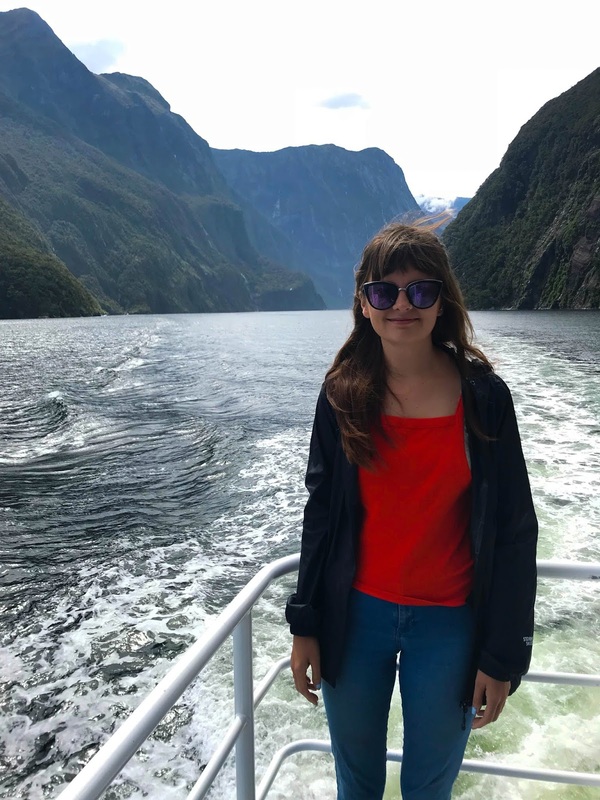 We were rerouted due to a landslide on the main rebuilt road, adding five hours on to our journey time (the loooong way round) and meaning we missed our whale watching slot for the day. 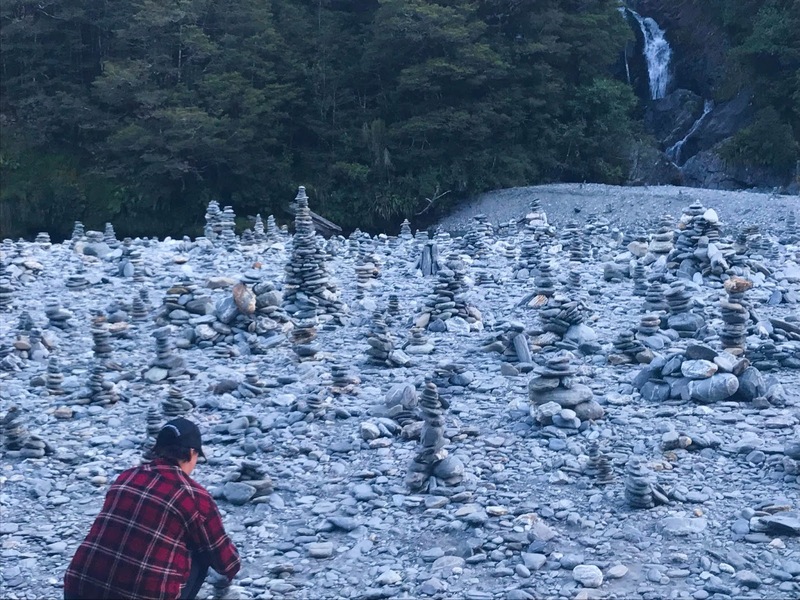 Activities are never set in stone in New Zealand; they’re never certain. 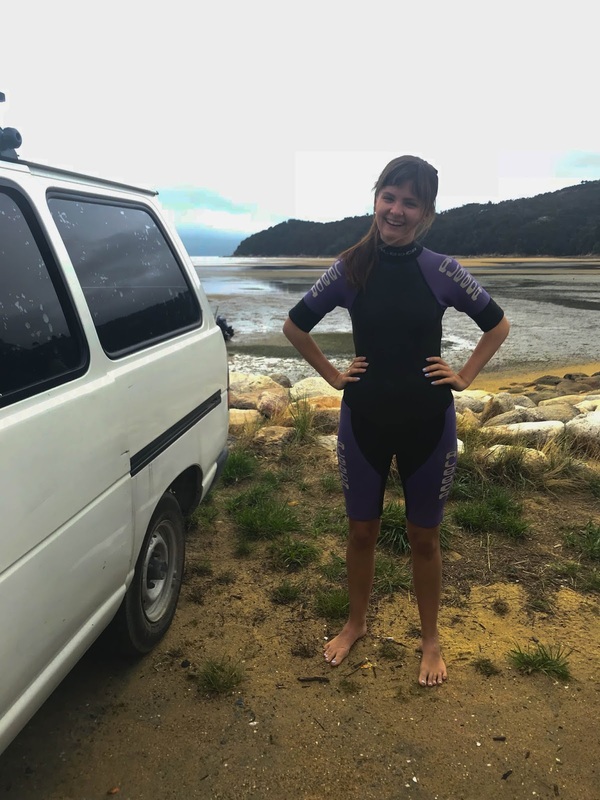 Emily had booked herself to go skydiving in Queenstown, only for bad weather conditions to scupper it for her. Friends have previously booked to do other things with the same happening for them. 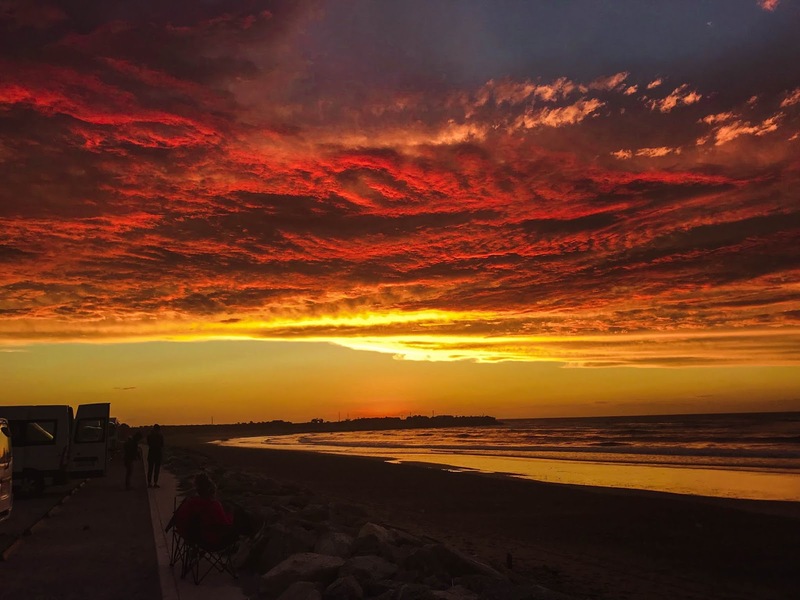 When it comes to Aotearoa, you have to seriously roll with Mother Nature. 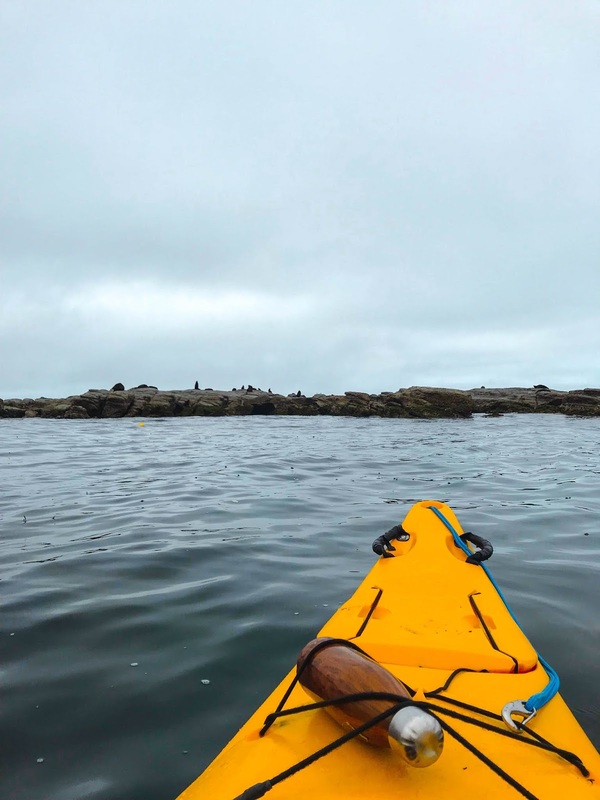 While our whale watching dreams were decidedly nixed the next day when we were told there were no creatures in sight, we did manage to go kayaking with Kaikoura Kayaks. We got to see seals as they chilled out on the rocks and swam around us, their whiskers inches away. We stayed at Meatworks campsite, right on the beach and right by the waves. Another night in paradise. 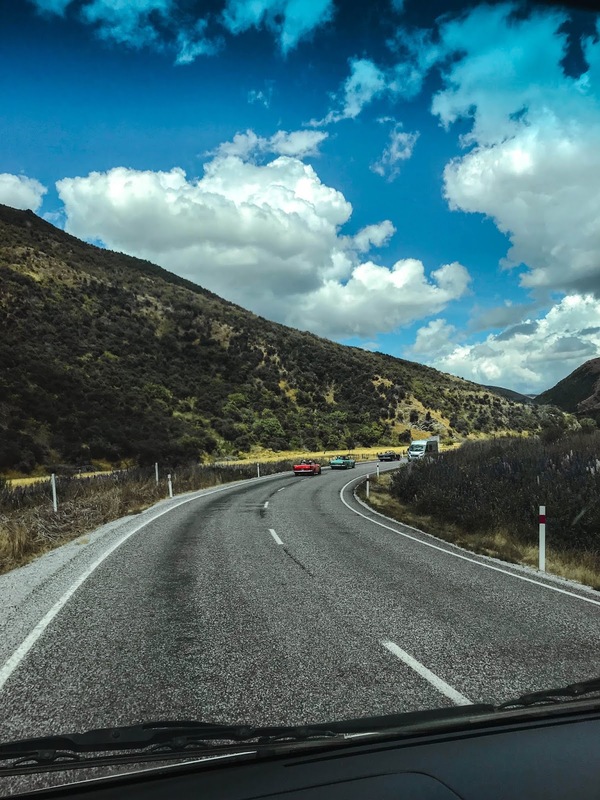 The last leg of our trip involved sailing down the long bright New Zealand roads. Out of the window we could see meadows, sheep, and golden fields. 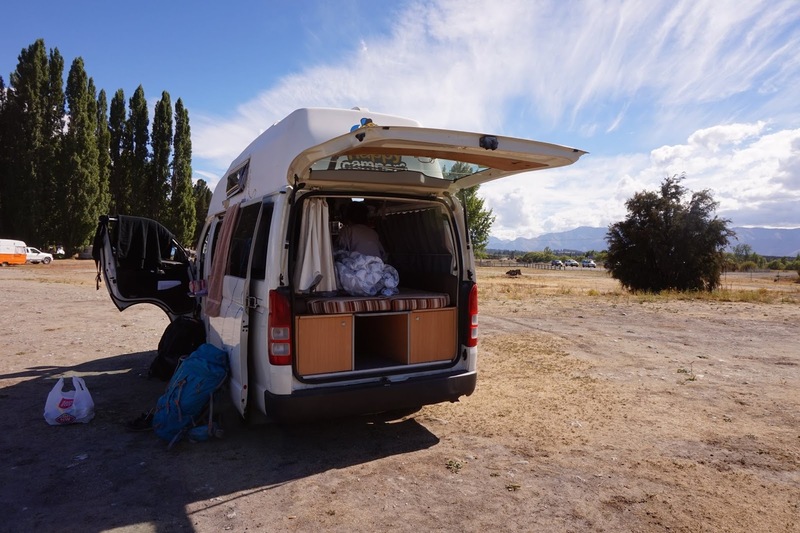 We drove through Christchurch and headed to our campsite for our last supper in the van. The roads in New Zealand are incredibly well signposted – sights and where to turn, so it’s pretty hard to get lost. 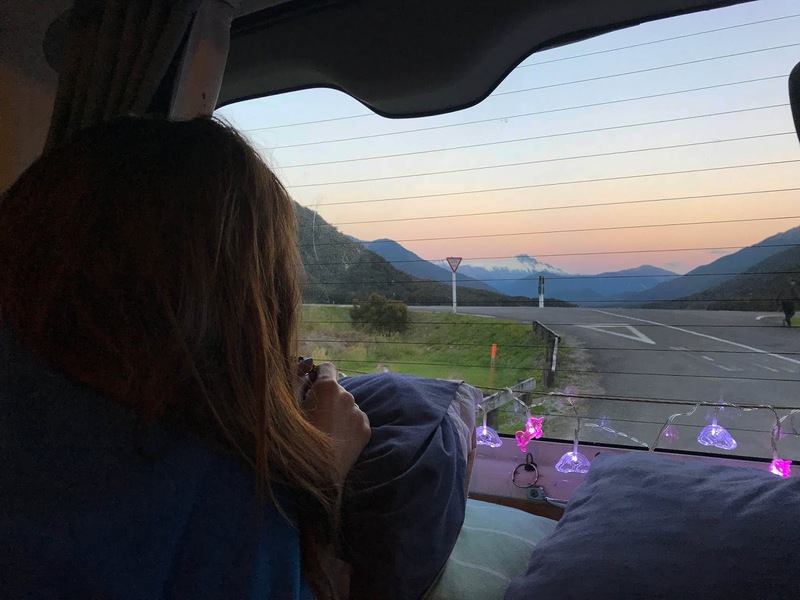 In my opinion, holing up in a van is the best way to see the South Island. 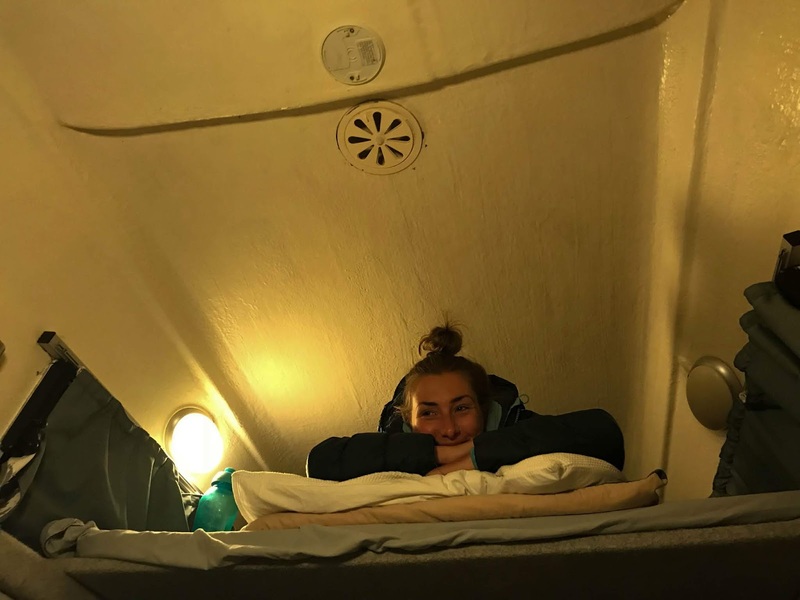 Not only is it more affordable (as you’re able to cook for yourself and don’t have to pay the somewhat extortionate costs of a bed in a hostel) but you can sleep in places better than you could've dreamed of. Wake up to the slow lapping of the ocean or to the sight of the snowy peak of a mountain. 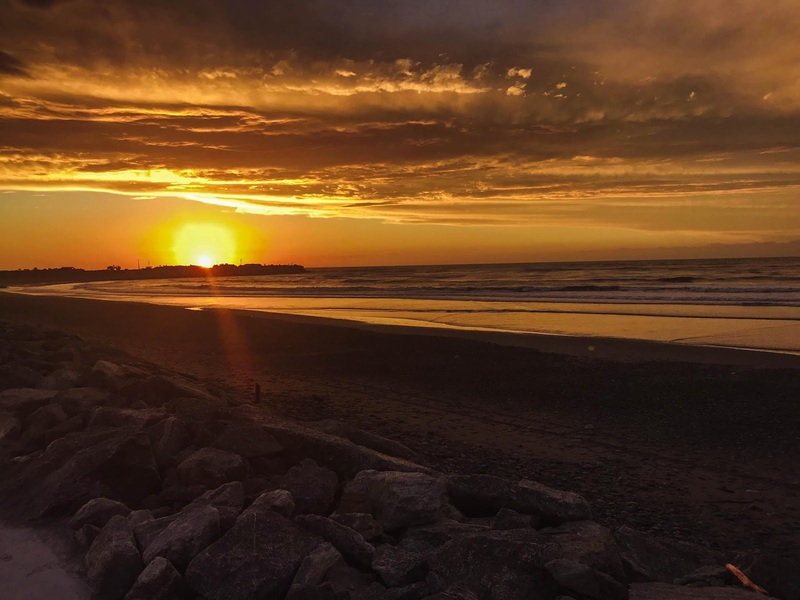 Freedom camping (free spots) are becoming increasingly hard to find with tightened restrictions on vehicles, but there’s still bargains to be had. Department of Conservation (DOC) campsites are usually the cheapest and mostly in areas of natural beauty. 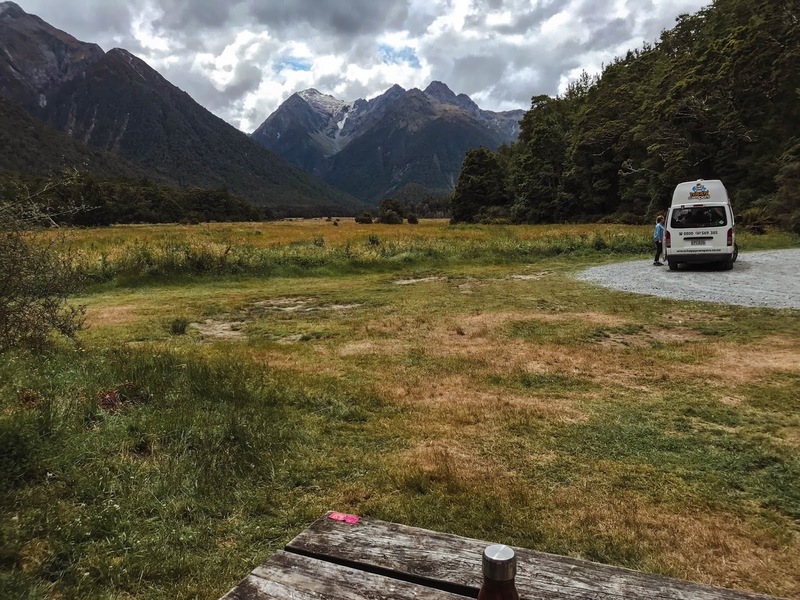 Every now and then you’ll probably be required to stay at a powered site if you have a van like ours – to power up the fridge and other amenities – and while this can be expensive, it does offer a nice slice of respite with decent showers and facilities. So that is that, and here is now. As Christmas creeps up slowly all I can think is how I'd love to do this trip all over again. I'm back from a week in Riga, Latvia's capital, which was bloody lovely. 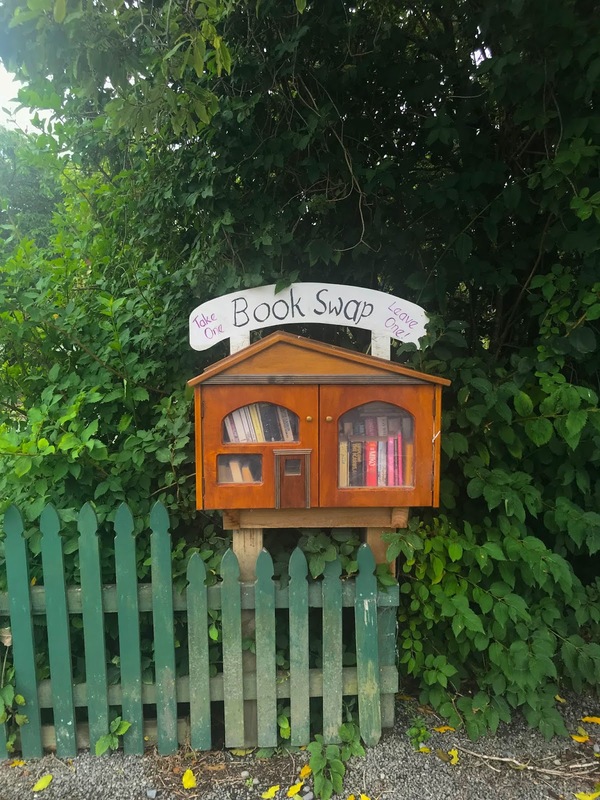 I don't know what I'd expected but the city surprised me a lot. 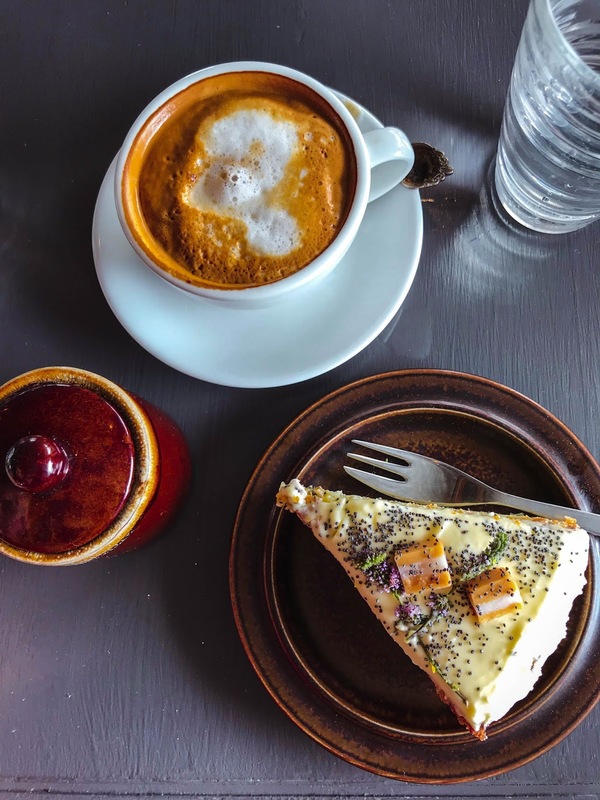 Highlights included Central Market inside old air hangars, the Art Nouveau district, trying the interesting local grub (maybe not the Balsam - 45% herbal booze), and a beaut AirBnB. Our first day there coincided with the 100-year celebrations of Latvian independence from the Russian Empire, which we hadn't realised and which meant thousands of people lined the Riga streets. 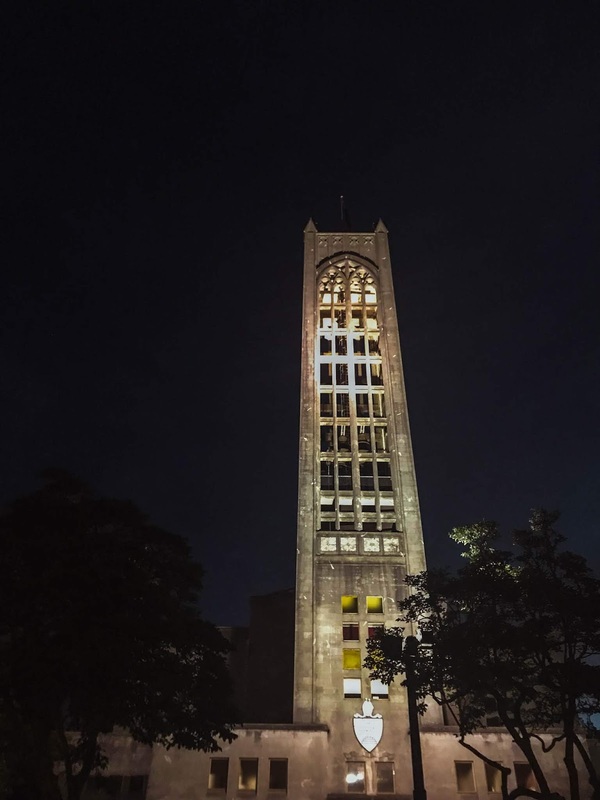 Huge light shows covered churches and streets, and fireworks blazed through the sky. I'll post more about the holiday soon! 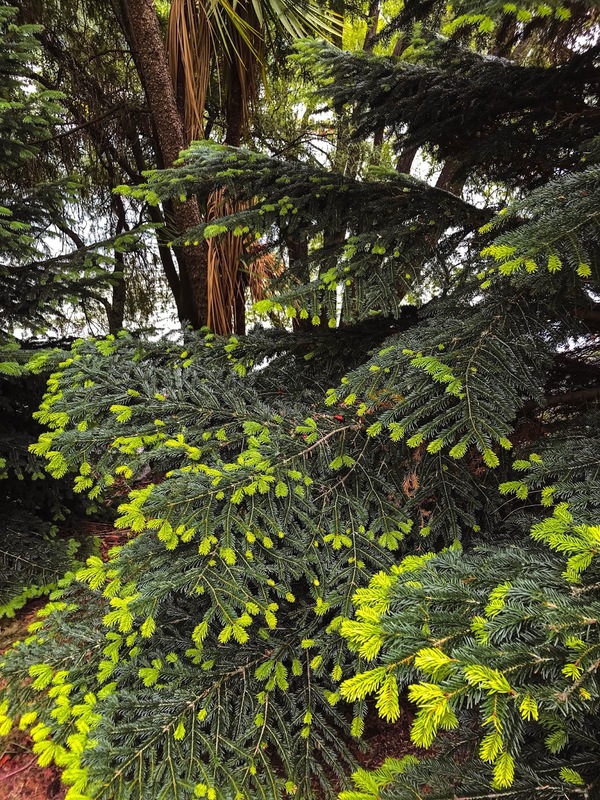 Made an October playlist but failed to post, so here we'll jump to now – on the edge of 2018. 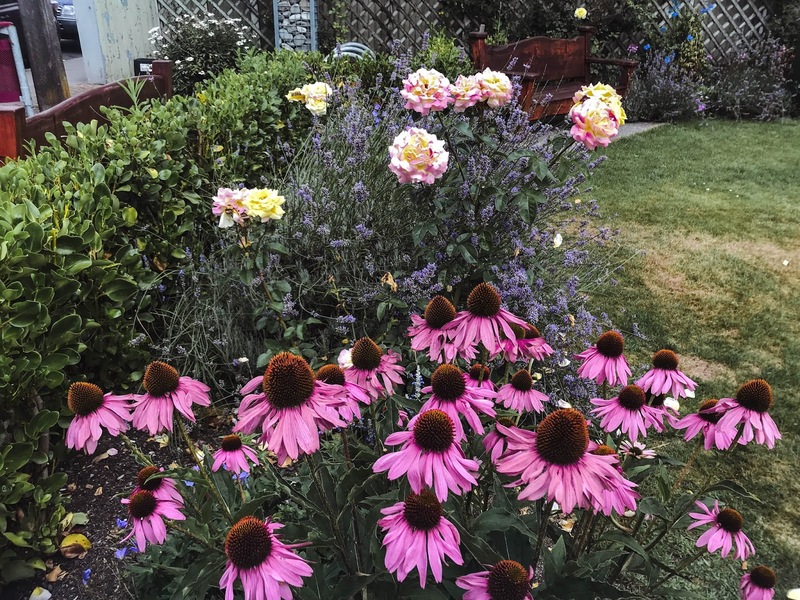 Things on my mind this month: roots, leaves decorating the pavement, romance, weekends driving and drinking beer (separately), an upcoming cold festive season, Big Thief's frontwoman Adrienne Lenker and her beautiful voice, long nights, lots of things – no real order. I'm still searching for what I want to say, so excuse the braindump.